Ricoh announced that they will cease supporting their desktop Theta software and the live streaming app on July 31, 2016 on both Windows 8 and Mac OS X 10.7 and 10.8. 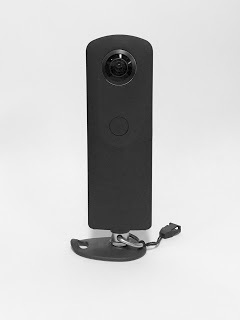 On its face, the news might sound puzzling and somewhat troubling for Ricoh Theta fans. The Theta S remains popular, and at the time of this writing, is still among the best-selling point-and-shoot digital cameras (and is still the top-selling spherical camera) on Amazon. It seems strange that Ricoh would abandon support for the Theta software. Fear not. I believe the reason for the announcement is because there will be something better for Theta users: cloud-based services. As I wrote a few months ago, Ricoh hinted at upcoming features, including “photo and media storage” and “video communication.” April has come and gone, and although third parties have facilitated livestreaming with the Theta, Ricoh hasn’t announced these features yet. Nonetheless, I believe their announcement about ending support for the desktop apps is a confirmation that Ricoh will indeed be migrating users to cloud-based services. Indeed, the specific date for ending support seems to mean that Ricoh will be announcing their new cloud service on or before July 31, 2016. I’m looking forward to seeing what Ricoh has planned for the Theta, with the new cloud services.